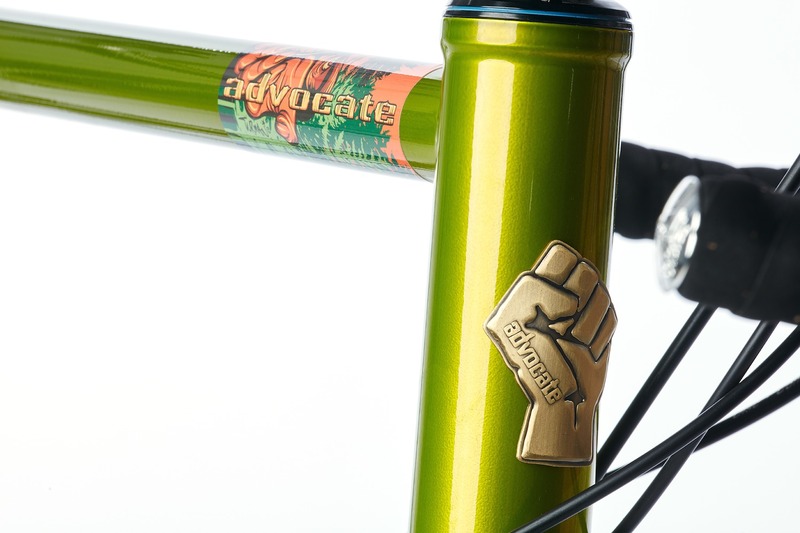 Advocate Cycles are different to most bike companies, and no, it’s not their wheel sizes, their choice of parts or their paint jobs. 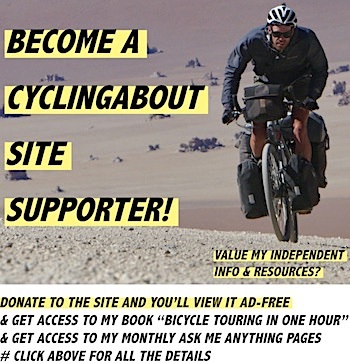 They’re one of very few bike companies funnelling 100% of their profits right back into cycling advocacy! 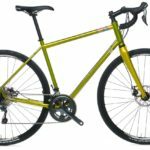 That’s right, when you purchase an Advocate Lorax, non-profit organisations of your choosing (IMBA, Bicycles for Humanity, NICA, People for Bikes & Adventure Cycling Association) will take some of your hard earned dollars and turn it into trails, resources and safety campaigns for everyone to benefit. How awesome is that?! 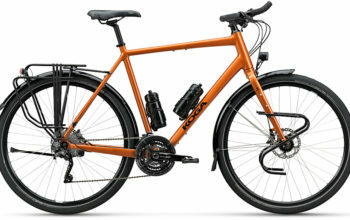 The 2016 Advocate Lorax Light Touring Bike. 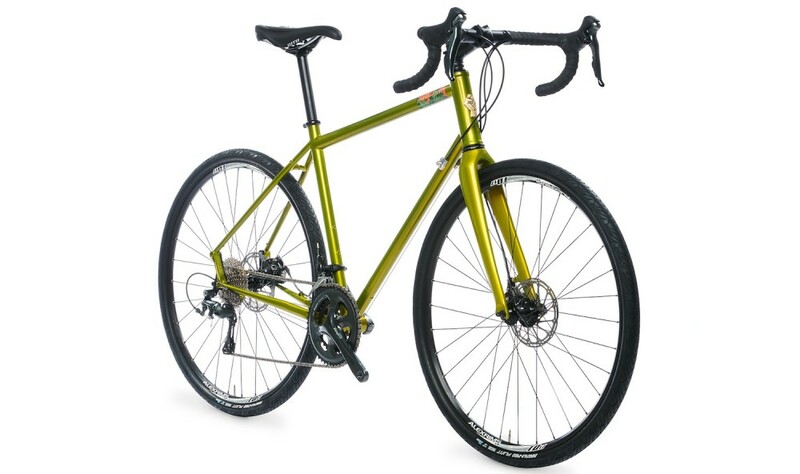 It’s marketed as a ‘gravel grinder’, but based on the geometry of the bike it would make a fantastic light tourer. 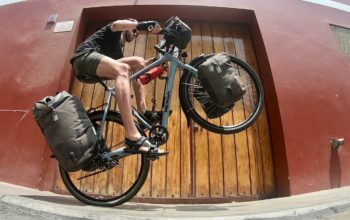 The geometry is very similar to the Salsa Vaya, which rides nicely both loaded and unloaded. The chainstays are 440mm long and the rack eyelets are set high, so riders with larger feet may need to grab a Tubus Logo rear rack to get their panniers both further back and lower. The Lorax features 61mm of fork trail, which tends to be decent in terms of steering, again – with and without bags. The headtube lengths are on the tall side which suits riders looking for upright positioning, but you may want to look elsewhere (cyclocross bikes) if you like a low and pro ‘road’ setup. The frame is built using double-butted Reynolds 525 steel tubing. 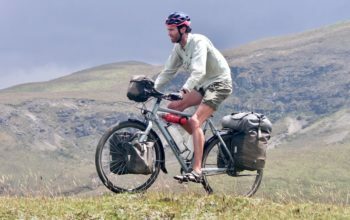 There is a carbon fork up the front which saves half a kilogram over steel, but if you wanted front panniers you could easily switch it out for a steel fork. In fact, if you used the shorter rake Salsa Vaya fork you could increase the fork trail, resulting in even better loaded-touring geometry. 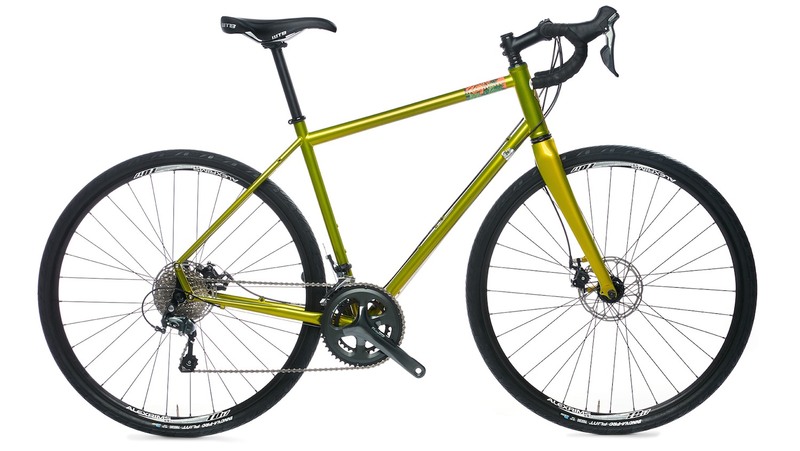 On the other hand, a Surly Disc Trucker fork has a shorter axle-to-crown, so using it would take a few mm off the BB height and slightly increase the fork trail. The frame graphics are by local artist Adam Turman. 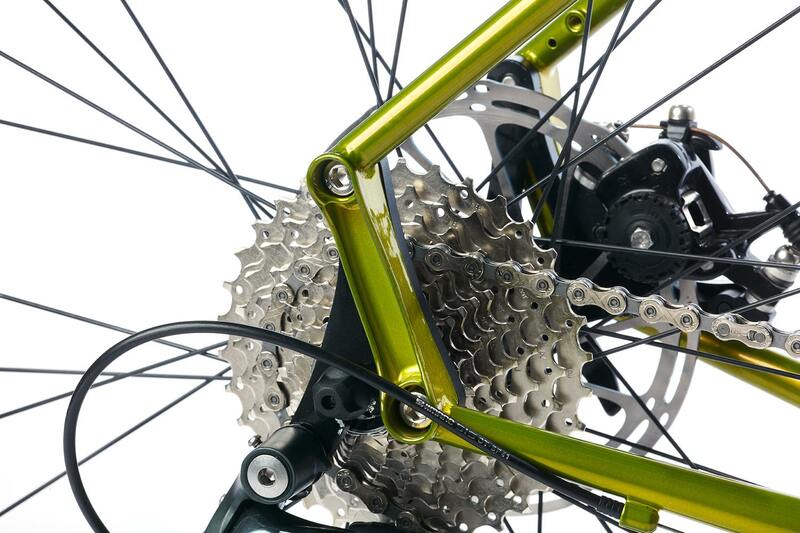 The gearing on the Lorax is Shimano Tiagra STI 10-spd. 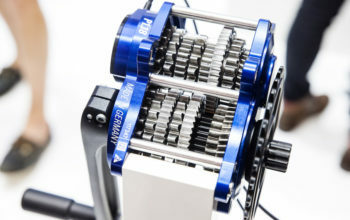 A compact crankset and wide 11-34t cassette provide around 27 gear inches for the lowest gear, often enough for light touring duties. The bike can handle front and rear fenders with 38mm wide rubber, or up to 45mm without. 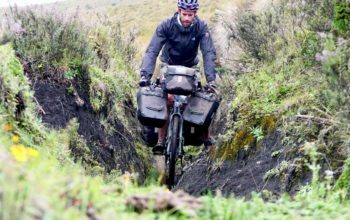 Three bidon mounts allow you to carry a decent amount of water on your adventure. The dropouts on the Lorax are interchangeable, allowing you to run the bike singlespeed (if you’re into that kinda thing) or geared, using a 135mm or even 142x12mm hub. Interchangeable dropouts on the Advocate Lorax. 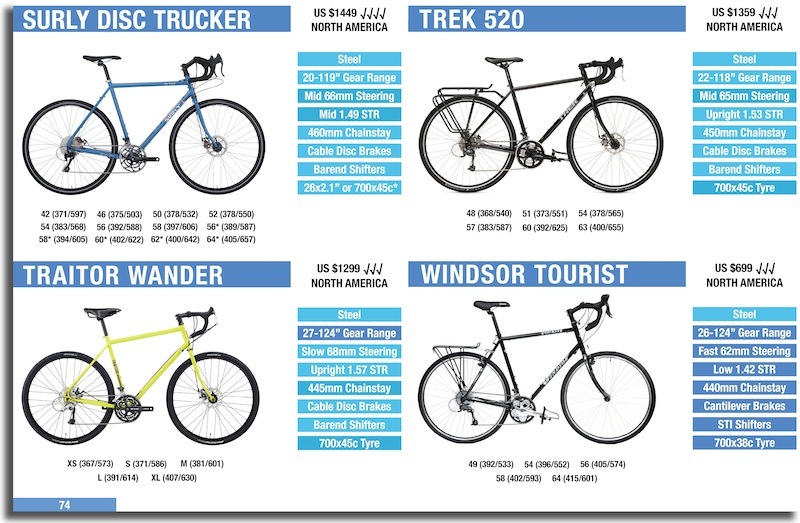 The price of the complete bike is US $1799 and the frameset US $999. It will be available in March 2016. And just to create a little bit of hype… the titanium version of this bike will be announced with a price at the start of next year! 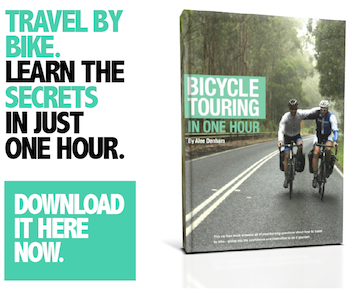 The Top-10 Reads and My Proudest Bicycle Touring Resources in 2016!